All men need a decent pair of smart shoes because you never quite know when you will need them. Some men need them for work and have to wear them daily, others keep them for best. 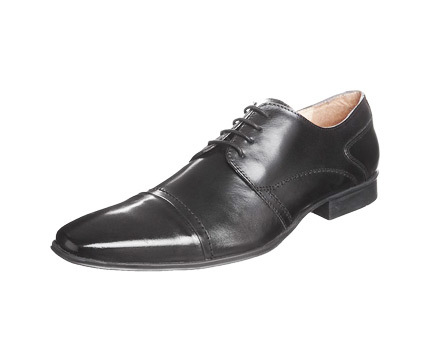 These classic men’s lace up shoes are ideal shoes suitable for any occasion. Comfortable and stylish for work and smart enough for formal gatherings! This new design offers a slick and modern version of the reliable brogues we all know and love, nowadays it is very acceptable to wear this new trendier version with everyday chinos and jeans for a more relaxed but very cool vibe. Pier One offers a leather shoe made of quality materials for a stylish and sleek look, perfect for any man; and will team nicely with almost anything. Available in black or brown these lace up shoes will team with any pair of trousers or suit for a modern sleek formal look, otherwise try with trendy chinos and see how versatile they can be!